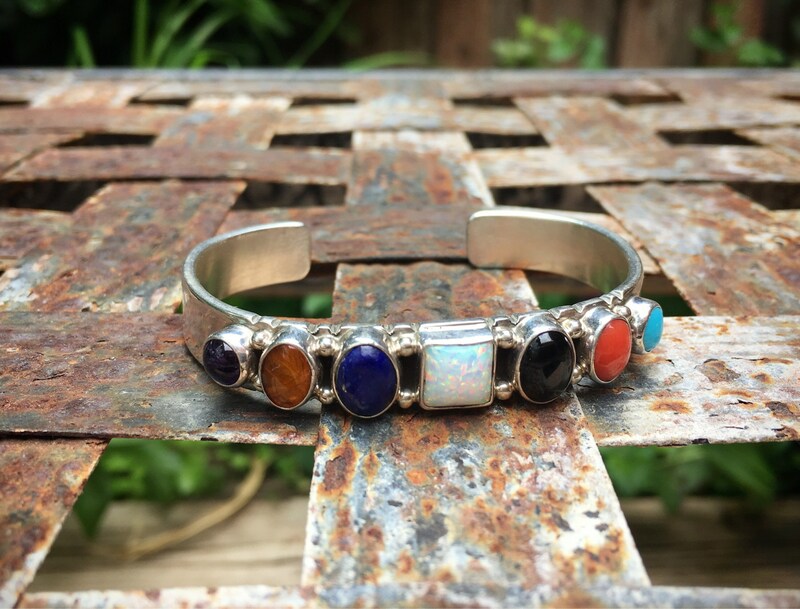 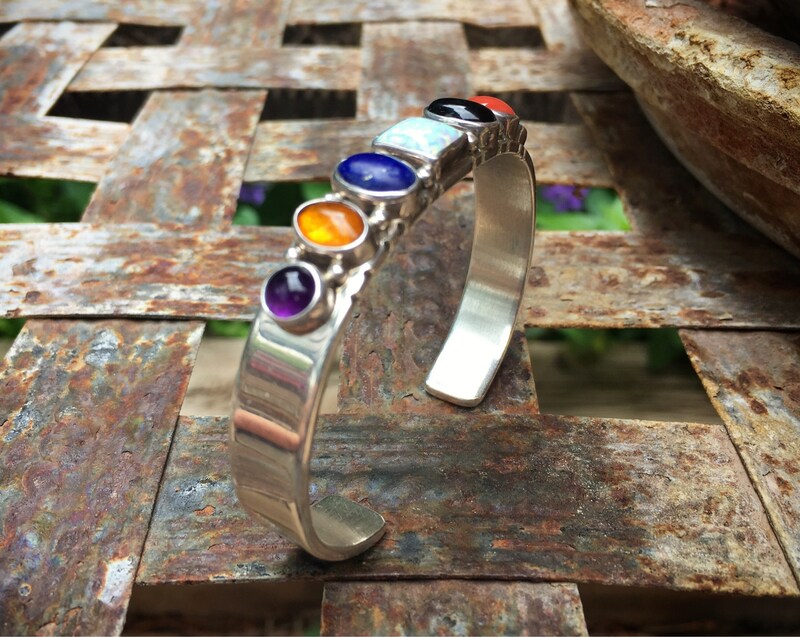 This cuff bracelet has some weight to it, and gemstones of many colors with a square cabochon of manmade opal in the center, and on either side three oval cabochons of different stones: amethyst, amber, lapis, black onyx, coral, and turquoise. 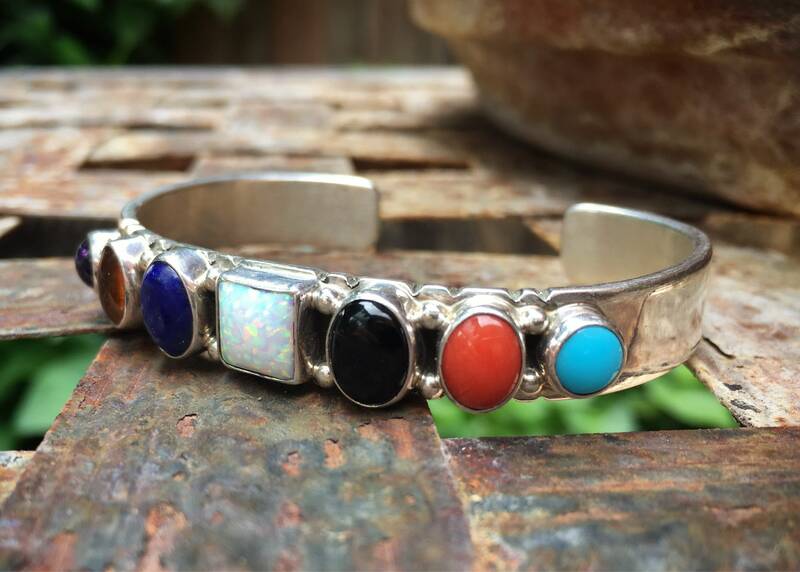 The piece is signed D. Touchine, the last name of a well known Navajo artisan family. 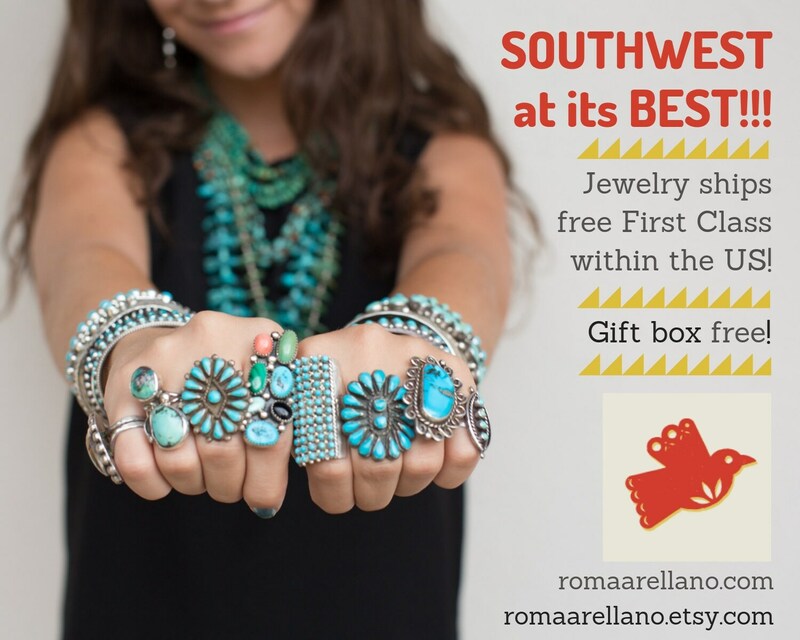 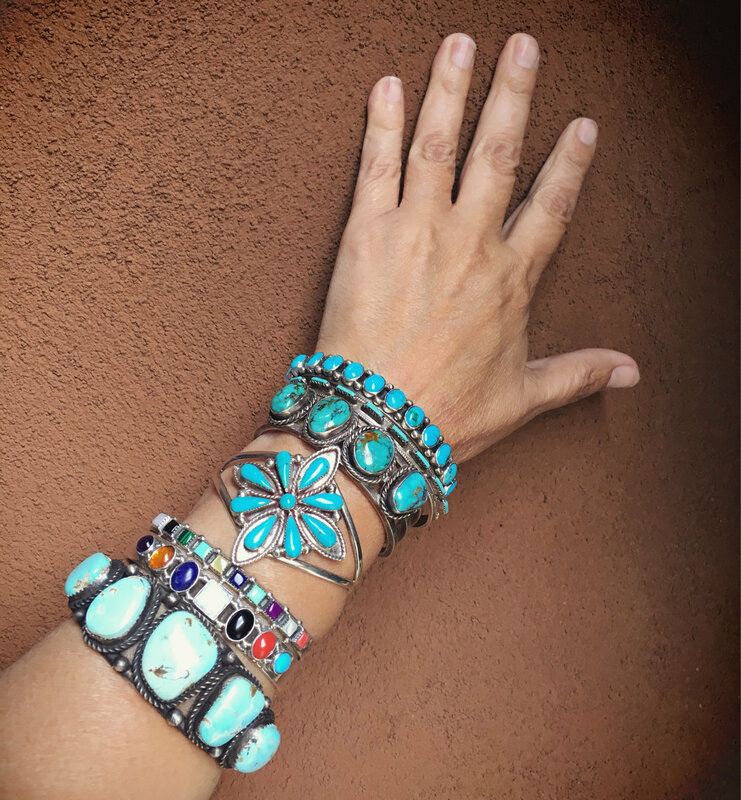 The bracelet looks great when tacked between turquoise and other multi-stone, as shown in Photo 3. 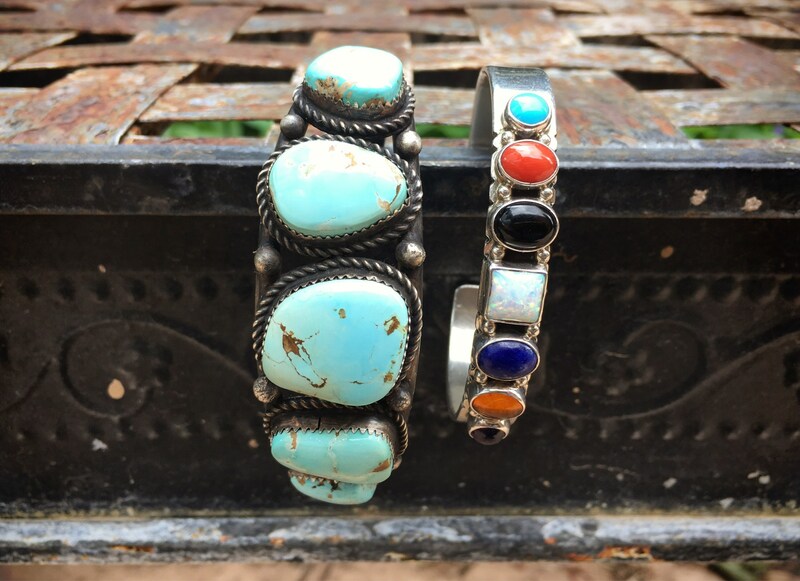 The bracelet is 3/8" wide and measures 5-1/4″ from end to end with a just under 1″ gap, so total length is just under 6-1/4"--perfect for a smaller wrist. 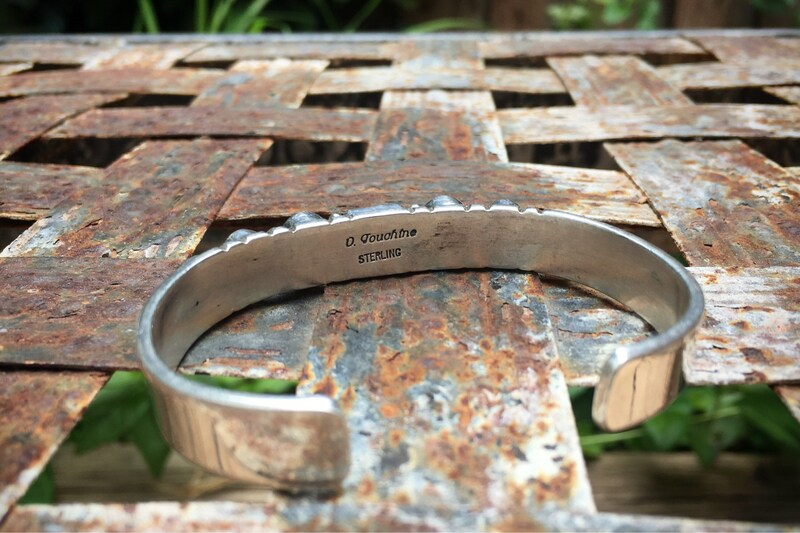 I do not recommend squeezing the bracelet for a better fit, as that could both damage the settings. 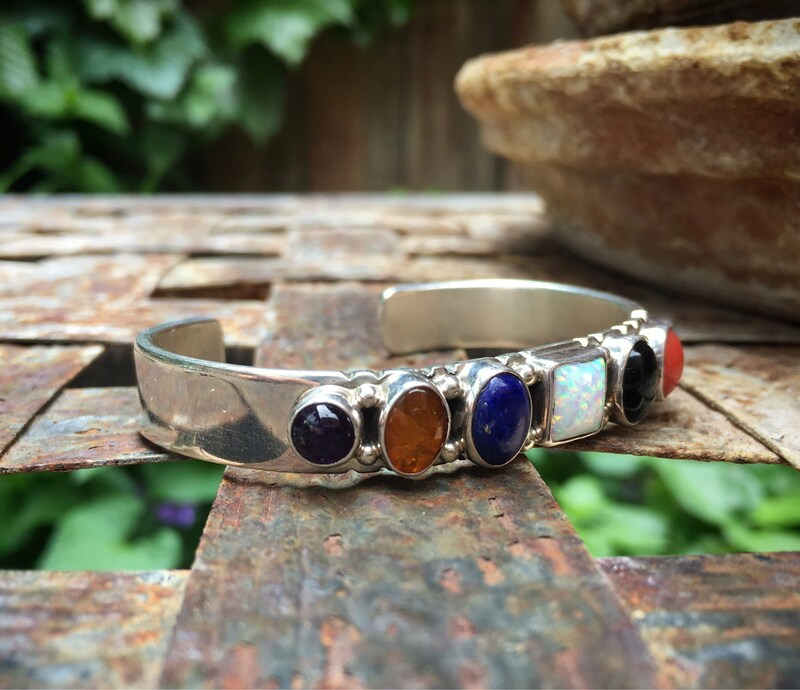 If you have questions about size, convo me so we can talk before you buy. 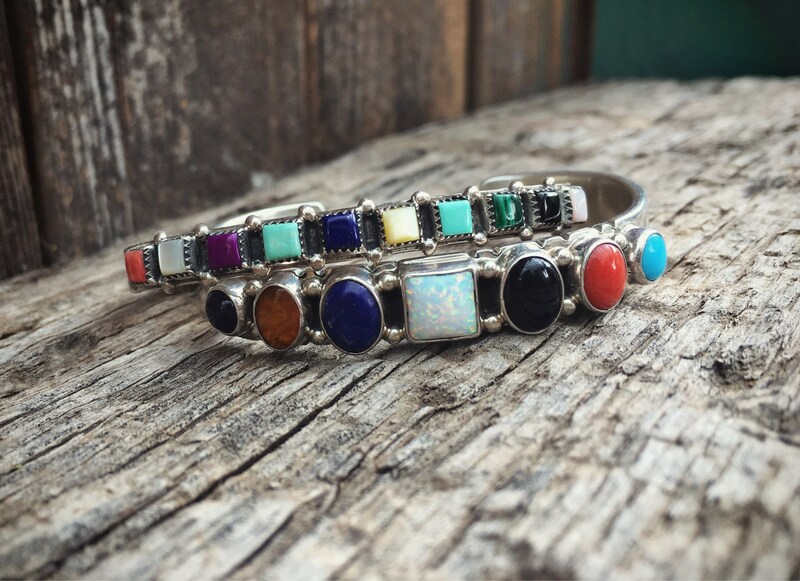 Beautiful, colorful, gorgeous with other bracelets or simply alone.